Tokyo will take “specific action” and join forces with the US to deter Pyongyang, Japanese Prime Minister Shinzo Abe said after a North Korean missile flew about 450km before landing inside Japan’s economic zone. “As we agreed at the recent G7, the issue of North Korea is a top priority for the international community,” Prime Minister Abe told reporters in a televised comment, as cited by Reuters. “Working with the United States, we will take specific action to deter North Korea,” Abe said, adding that Japan will also maintain close contact with neighboring South Korea and other countries. The strident statement came in response to the latest missile launch by North Korea. On Monday morning, a short-range ballistic missile traveled around 450km and landed in the Sea of Japan, 300km off the Japanese coast. The missile, said to be a Scud-type projectile, was launched from an airfield near Wonsan, a city on North Korea’s east coast, according to the US Pacific Command and South Korea’s Joint Chiefs of Staff (JCS). Roh Jae-cheon, the spokesman for the JCS, said the missile flew at an altitude of 120km (75 miles). “So far, the assessment is there was at least one missile but we are analyzing the number of missiles,” he said earlier in the day. Yoshihide Suga, Japan’s chief cabinet secretary, said the North Korean missile launches pose risks to air traffic in the area as well as to maritime lanes in the Sea of Japan, according to Reuters. “This ballistic missile launch by North Korea is highly problematic from the perspective of the safety of shipping and air traffic and is a clear violation of United Nations Security Council resolutions,” Suga told reporters. Beijing issued a similar statement, urging all parties to come to the table and seek a diplomatic solution. “At present the situation on the Korean Peninsula is complex and sensitive, and we hope all relevant sides maintain calm and exercise restraint,” China's Foreign Ministry said in an emailed statement, according to Reuters. 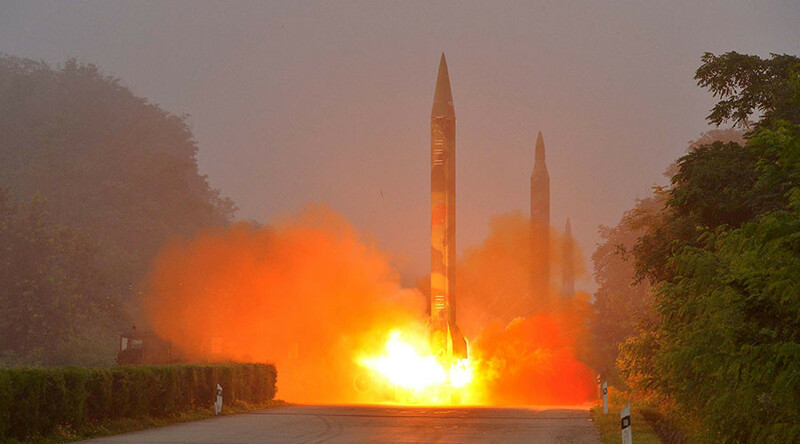 Earlier in May, North Korea tested the Pukguksong-2 intermediate range ballistic missile. A reportedly nuclear-capable missile was launched just a week after North Korea launched its Hwasong-12 rocket. 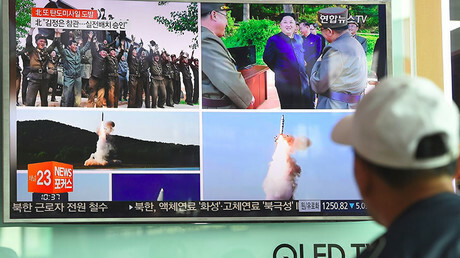 The series of launches has raised the stakes on the Korean Peninsula, though while Pyongyang’s neighbors condemn the launches, they also maintain that any coercive action would lead to dire consequences.